We participate in a community meal program put on by the First United Methodist Church, located at 718 Clay Street, Cedar Falls. This meal is takes place on months with a fifth Tuesday. We also provide financial support for the groceries for the meal. There are several organizations involved with us including St. Luke's Episcopal Church, Community of Christ Church, and Cedar Valley Unitarian Universalists. We provide desserts and fresh vegetables for the meal as well as volunteers to prepare and serve the meal, wash dishes and clean up. Check out the sign up sheet posted in the narthex and join in this service adventure. 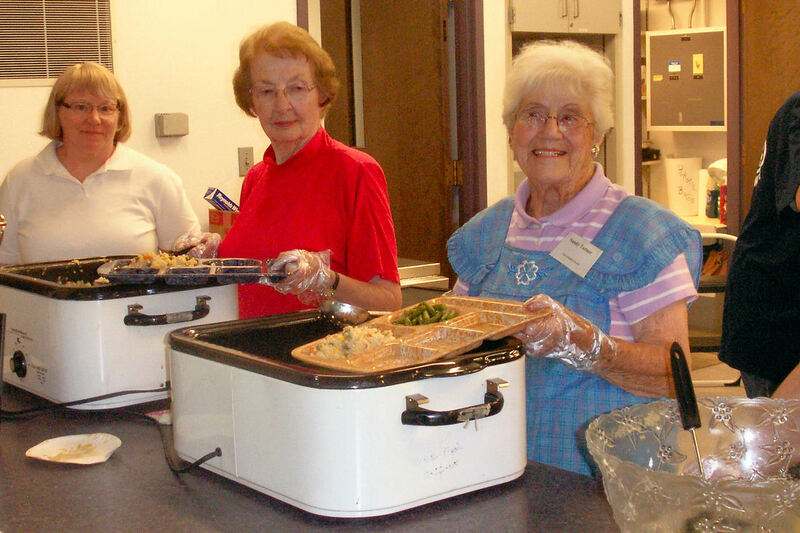 There will be another Community meal Tuesday, October 30. There is a signup sheet located in the narthex.